A very good album that's full of strong musicianship, classy over-the-top vocals and songs that get the blood pounding in your veins. 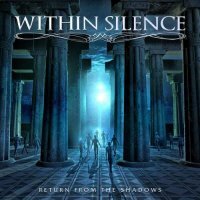 'Return From The Shadows' is the second album from Slovakian Melodic Power Metal band Within Silence who hail from the city of Košice. Their first effort 'Gallery Of Life' was a fine debut and it had all the diverse elements you'd expect from a band playing this type of Metal. This new release is another very good album that's full of strong musicianship, classy over-the-top vocals and songs that get the blood pounding in your veins. They have also, in my opinion, come along in leaps and bounds as song-writers because alongside the usual four or five minute Power Metal fare, you will also find two epic tracks that reveal a whole different side to this band. The first of these two immense offerings is the seventeen minute plus 'In The Darkness'. It opens with a lone guitar that is soon joined by powerful drums and bass before a choir sweeps dramatically in to help to ratchet up the musical tension. The band then burst aggressively from the speakers with guitar riffs blazing, vocals driving into your brain like a spike and the rhythm section forging a rock (sic) solid base. The band then use this as a foundation from where they can then forcefully launch the song to its theatrical crescendo. Calling this an epic track doesn't do it justice and what it shows is a band who have upped their song-writing game to the nth degree. The second of the aforementioned pair of massive tracks is the title track 'Return From The Shadows', and whilst not as grandiose as '...Darkness', it is still eleven minutes of in-your-face Melodic Power Metal that any lover of Stratovarius, Helloween or early Sonata Arctica will likely love. With another seven classy songs on offer, this album offers value for money if nothing else. There are a plethora of new Power Metal acts doing the rounds at the moment and it takes something special to stand out from the crowd. 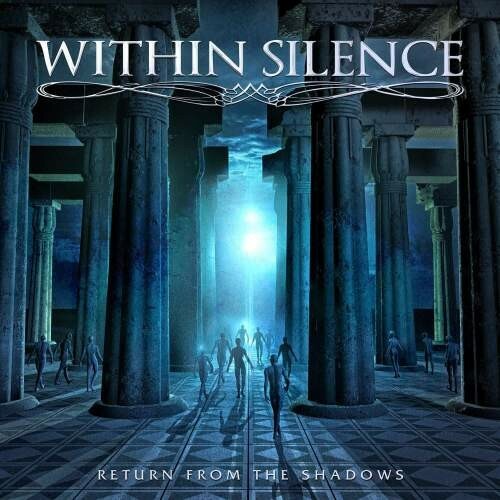 With their impressive new song-writing skills coming to the fore on this release, Within Silence may well have clicked on a winning formula. I personally can't wait for album number three.